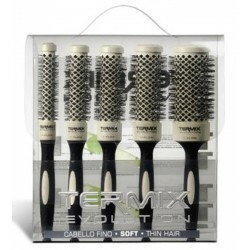 Evolution Soft - Just Beauty Products, Inc.
Evolution Soft There are 9 products. Termix Evolution Soft Hairbrush designed with high-performance ionized bristles, special for thin and delicate hair. 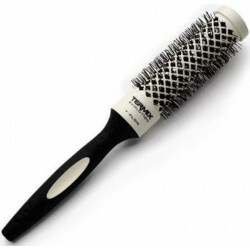 Is the only designed to prevent hair breakage and worsening of the hair shaft due to its cross-system of ionized nylon bristles of thin diameter and beige colored microfilaments. 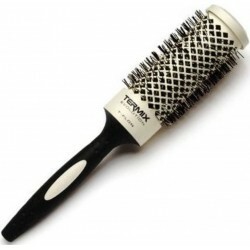 Termix Hairbrush Evolution Soft designed with high-performance ionized bristles, special for thin and delicate hair. 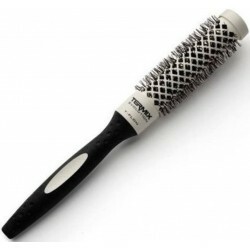 Is the only designed to prevent hair breakage and worsening of the hair shaft due to its cross-system of ionized nylon bristles of thin diameter and beige colored microfilaments.